So, my “getting going” mostly consisted of pinteresting and list-making. But eventually winter finally gave way to spring, and I was able to get out there. 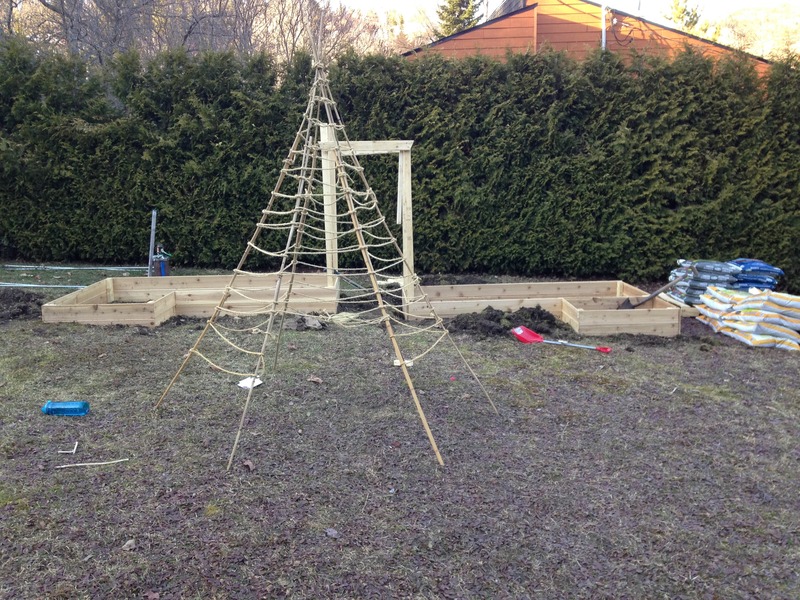 Planned the layout, built the frames, leveled the frames (in a yard that it turns out is nowhere near as level as it originally looked) decided on a trellis style, got the bean tee-pee in place, made probably a thousand trips to the garden store, hauled many many many bags of mulch/compost/soil, and finally got the seeds and seedlings in the ground. And so then of course the next day (in MID-MAY!) we had a freak cold snap, and I was convinced everything was ruined. We did the best we could with tarps and blankets and empty cardboard boxes, and hoped for the best. Most of it bounced back just fine, and I replaced the things that hadn’t, and we continued on. It’s not all doing great. My zucchini is struggling, my cilantro bolted, we’ve already had to replace one berry bush and another one looks like it might be on its way out, the cantaloupe refuses to grow, and a few pepper plants just don’t seem to understand how to produce flowers and/or fruit, despite a pretty enthusiastic cheering squad. But the tomatoes are filling in splendidly (in spite of the one branch I snapped while trying to get it to climb the trellis), and the orange peppers are doing well, and I’ve already harvested huge amounts of lettuce and spinach and a couple huge heads of broccoli, and I’ve got a jar that is rapidly filling with dried chamomile flowers to brew into tea. If you’re interested in a (lengthy) video detailing everything we’ve got growing, check out this garden tour Fiona and I did one evening. Bonus footage at the beginning, “How to Make A Salad”, by Fiona. In closing- more photos, taken this past weekend. 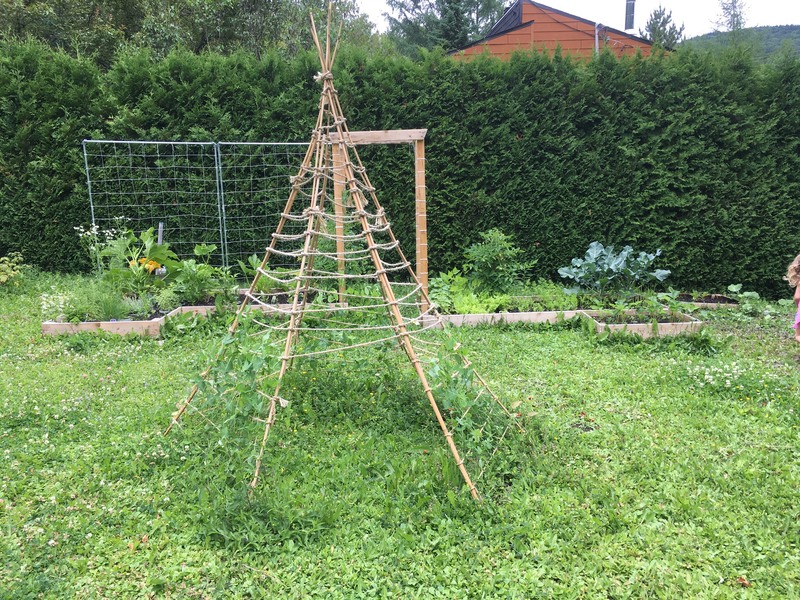 And that’s a quick (well, as quick as I’m capable of) recap of our first couple months in the garden. I’ll try to post updates more frequently and less wordily from here on out, but as you can see from this post- we’ve done lots of work out there, there was lots to cover in this first one.